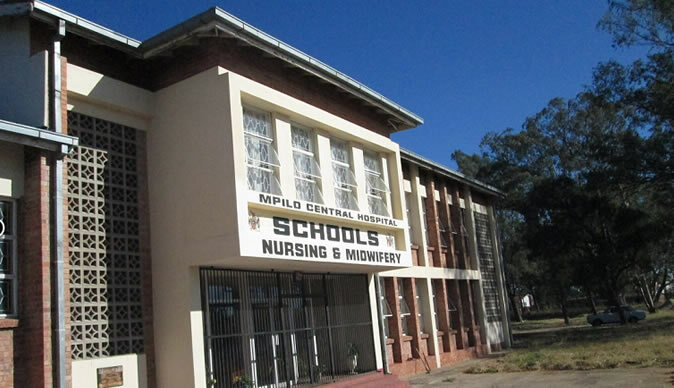 MPILO Central Hospital in Bulawayo is failing to cope with the high number of maternity patients resulting in some of the expecting and new mothers sleeping on the floor, a situation described as deplorable by Health and Child Care Minister Dr Obadiah Moyo. Hospital authorities say this is a result of the scrapping of maternity fees by Government at public hospitals which has seen all patients flocking to Mpilo without referral from council clinics which continue to charge maternity fees. Patients on the other hand, say the situation may escalate maternal mortality in the country. An average of seven women die while giving birth in Zimbabwe weekly. The country's maternal mortality rate stands at 614 deaths per every 100 000 live births and remains one of the highest in the region. Speaking at the Mpilo Hospital 60th anniversary celebrations yesterday, the hospital's chief executive officer, Mr Leornard Mabandi, said the institution was overwhelmed with the high number of expectant mothers turning up. "The hospital is complying with the policy of removal of user fees for pregnant women who present themselves to our institution. The numbers are overwhelming and we are failing to cope. Now there are over 1 000 pregnant women on the waiting list to book for Ante Natal Care (ANC) services," said Mr Mabandi. He said deliveries had moved from an average of 25 to close to 40 per day since the scrapping of the fees. "Infection control is now a challenge to manage as we now experience floor beds. There is no longer space to waste. We are not advocating for the removal of the policy but strengthening of the referral system" said Mr Mabandi. Dr Moyo, who attended the Mpilo celebrations, said the situation was unacceptable and had to be collectively rectified. "I was shocked today when we visited the ward, we had patients who were sleeping on the floor, mothers who had delivered, on the floors. We have floor beds all over the place, we have congestion and that is unacceptable. We have to improve that and ensure that we look after our patients properly," he said. Dr Moyo said the new dispensation was working on improving the health care system in the country, hence his visit to Mpilo Central Hospital. "The situation there is deplorable. I don't blame the staff but it's something which we all have to work towards improving," he said. Turning to developments at the hospital, Mr Mabandi said the institution requires high level diagnostic and treatment equipment and the 10 theatres that have been renovated lack equipment like anaesthetic machines and other relevant gadgets which have affected their performance. "Our suppliers fail to deliver when we engage them and cite foreign currency as their biggest hurdle. We are hoping this area will improve in the new dispensation and our patients will smile all the way to the theatres and radiology services," he said. Mr Mabandi said Mpilo Central Hospital faces a critical shortage of specialists as there are no cardiologists, dermatologists, among others and patients have to be referred to Harare. In terms of infrastructure, he said, efforts have continued to be made to renovate wards. Mr Mabandi said the hospital's management was grateful for the support they receive from Government, the community, corporate world, religious organisations and individuals in their endeavours to have a meaningful health delivery system.